...you struggle with knowing where or how to start. ...you get overwhelmed with trying to decide what design style feels like you but will also attract your ideal clients. ...you're stuck feeling indecisive and overwhelmed by all the choices. ...your website has always felt "not quite right" or professional enough. ...you aren't confident about your site because it currently feels outdated, heavy, cluttered (it needs a makeover). ...you are unsure if your design is effective at attracting best-fit clients. ...you are too busy to work on your website but you know your website needs to improve to help you grow your practice. 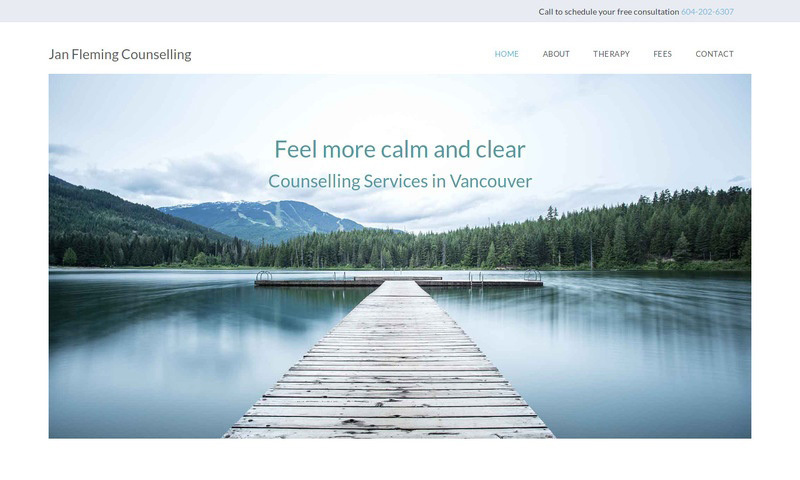 Our research shows that nearly 30% of private practice therapists find website technology to be their primary challenge with putting together a therapist website. Do the following ring true for you too? You're unsure which platform to choose or how much help to hire for what tasks. You are overwhelmed with all the factors involved and struggle to get started, stay motivated, or complete website tasks. You forget to tend to your website once it's up or don't even know how. Backups, security, and other maintenance tasks are a pain. You waste hours trying to figure out the features of your current website platform. "You have no idea how happy I am that Empathysites is in my life! You turned this overwhelming task into a project I am so happy to work on!" Get a beautiful and effective website now. You're new to online marketing and need a professional website, but you're struggling with knowing where to start. Empathysites is the service that can guide you through to a beautiful site that represents who you are and how you help. You've created your own website or maybe you've hired someone and they did a bad job. Or perhaps it's just time to level-up. You are ready to get a professionally designed website that looks professional and that you can be proud of. You don't have time to DIY your website anymore. Having a team that can design and care for your website means more time for focusing on your clients and your practice. Send your written content and images, and we'll design your site. 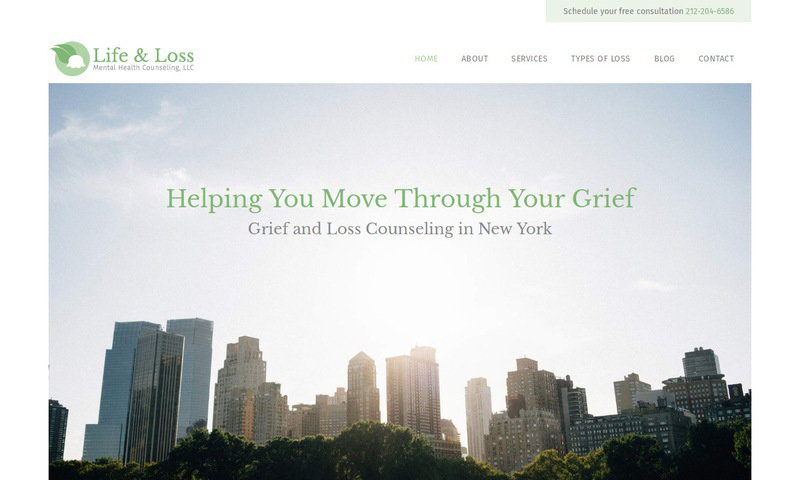 We design your site to be welcoming and help you help more people. We launch your site so it's available for the world to visit. We're here ongoing to complete unlimited assistance requests. You'll be invited to send over your website content and any notes or inspiration. Your website designer will design your site based on who you are and around the content you send. From adding your logo and images, to customizing your website’s colors, we collaborate with you to ensure your site reflects who you uniquely are. 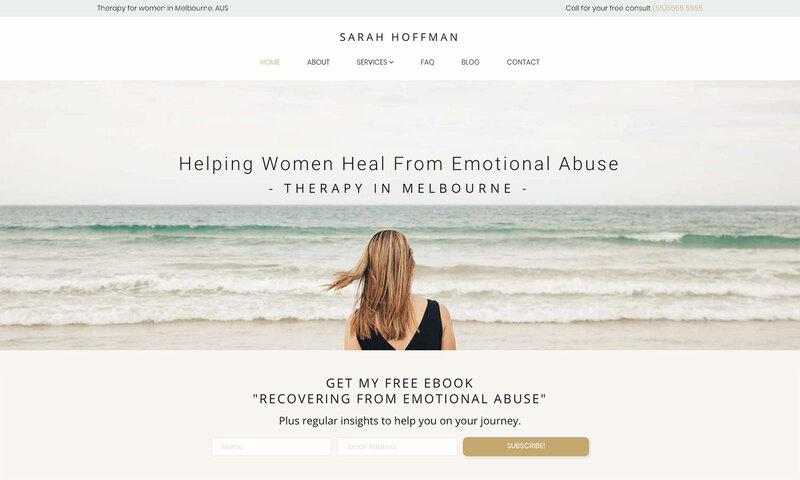 Our exclusive templates are designed with therapist clients in mind: if they are seeking therapy, they are probably already overwhelmed. Our designs are so simple, even a stressed out person will be able to find what they are looking for, and importantly, know how to reach you and get started. After we launch your site, we're here with here to help ongoing with unlimited assistance. From adding new pages to updating features, we got you. Interested in updating your website yourself? That's an option too. Make changes to your own site anytime. "I just got off the phone with a potential client and she said 'I saw your website and it looked great. That is why I called you.'"